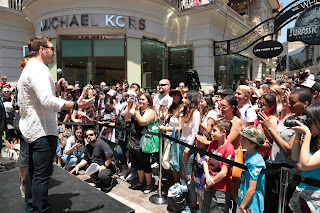 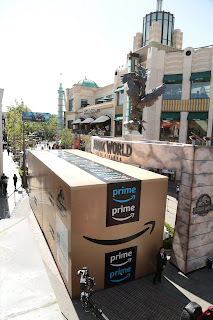 AMAZON AND JURASSIC WORLD: FALLEN KINGDOM MAKE THE LARGEST "DELIVERY" IN AMAZON'S HISTORY AT THE GROVE. 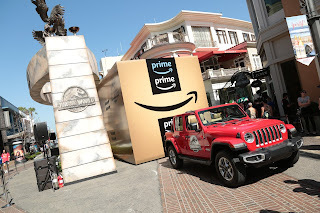 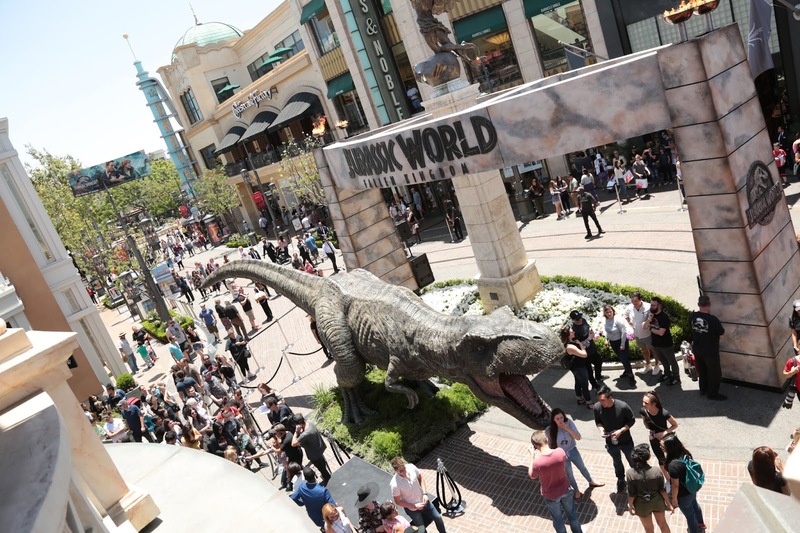 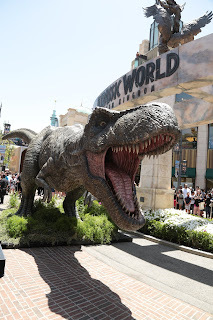 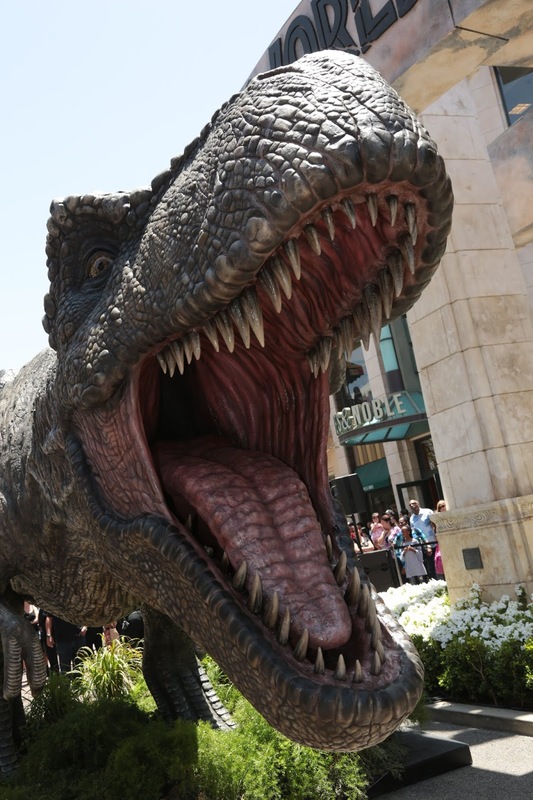 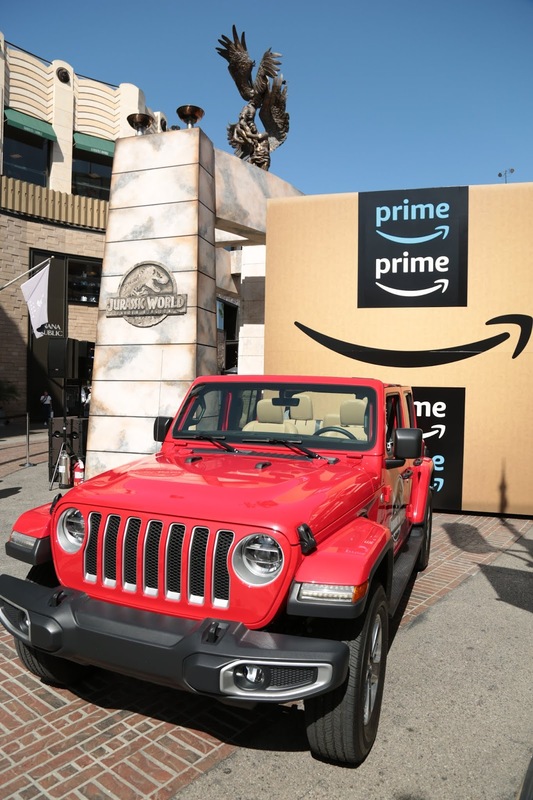 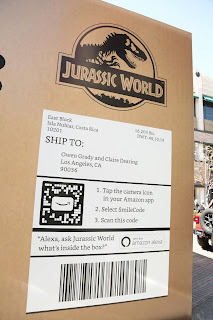 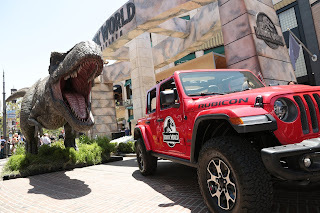 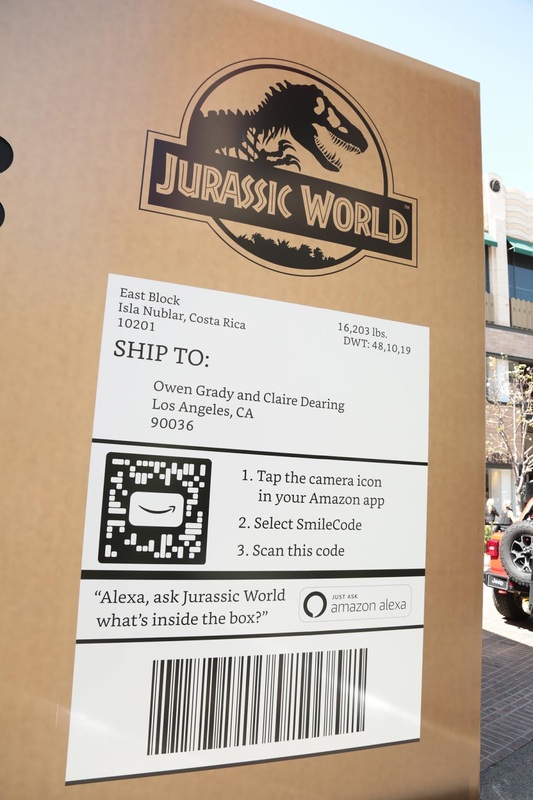 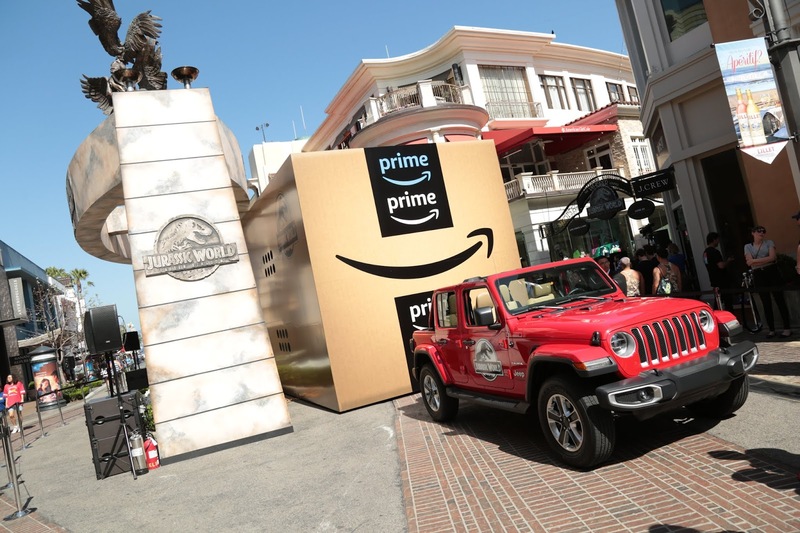 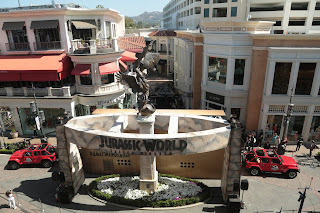 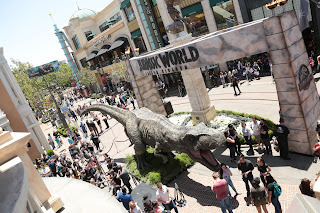 Universal Pictures and Amblin Entertainment's Jurassic World: Fallen Kingdom, in collaboration with Amazon, announced today that the largest "delivery" in Amazon's history was made to The Grove in Los Angeles on May 30, escorted by a Jeep Wrangler motorcade. The massive box-40' L x 14' 9" H x 14' W-is now on display. 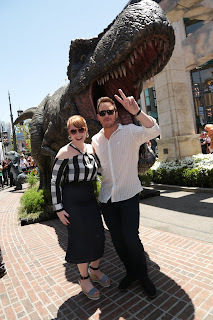 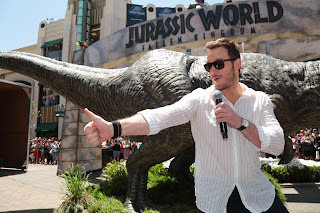 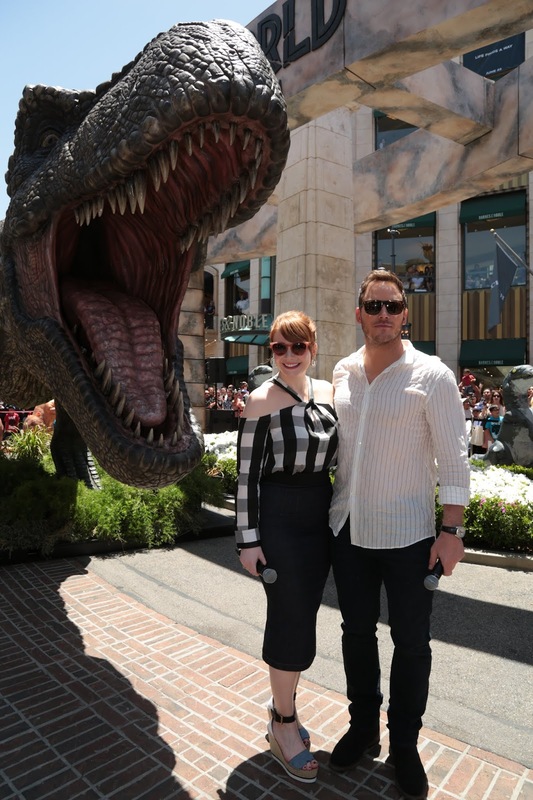 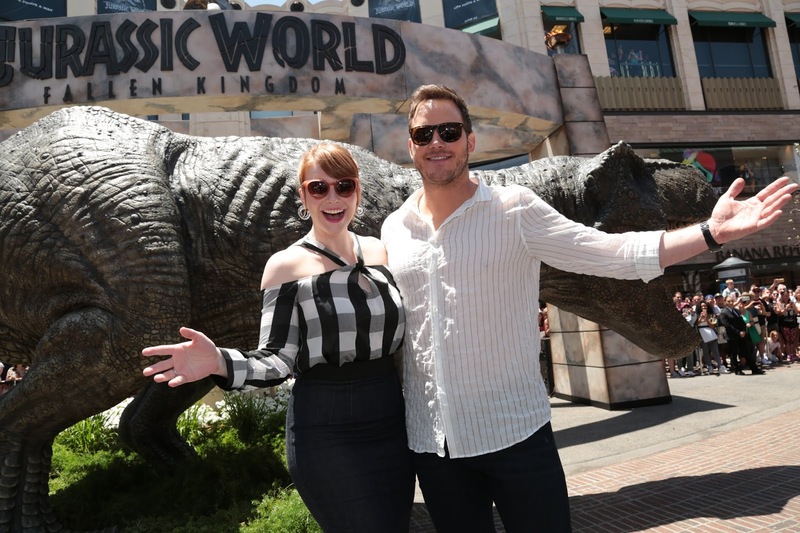 Fallen Kingdom stars Chris Pratt and Bryce Dallas Howard were on hand to unveil the Jurassic-sized surprise. 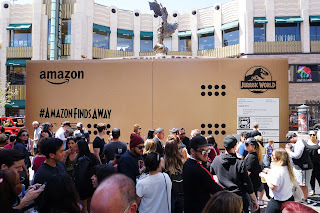 The unveiled content(s) of the growling package will be on display until June 10. 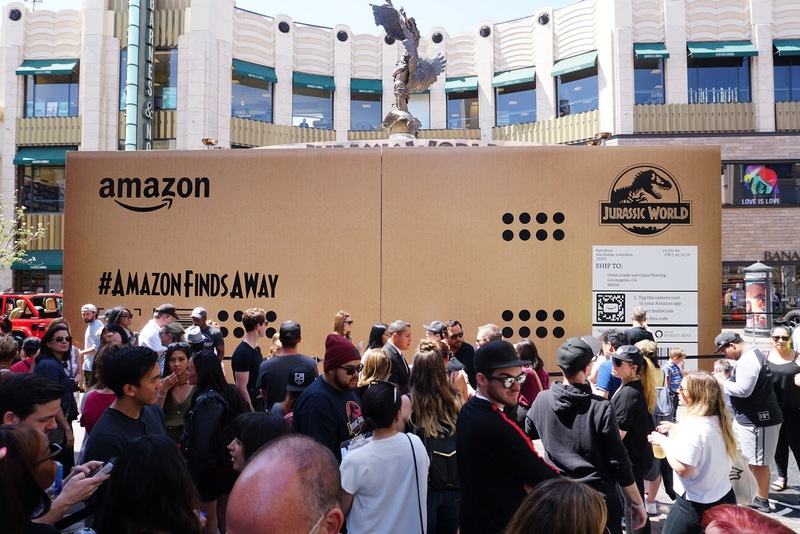 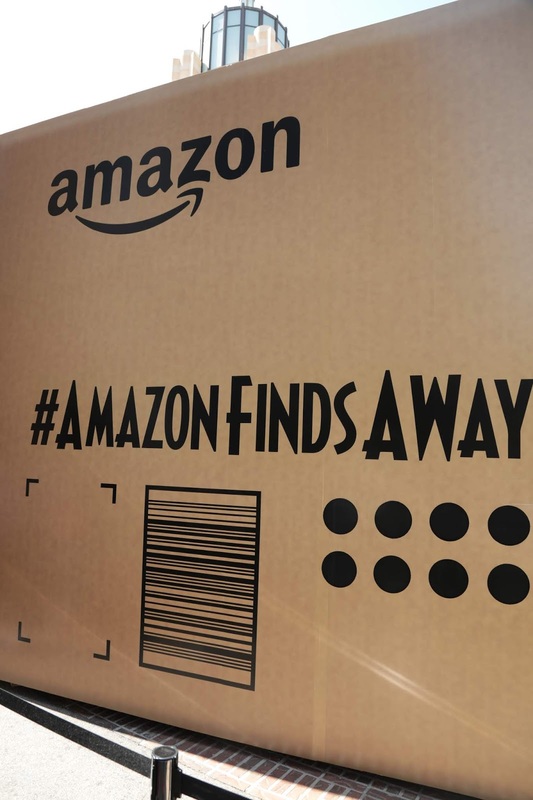 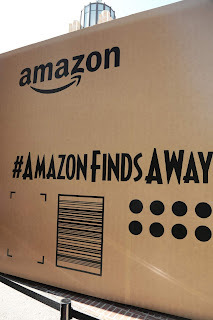 Fans can follow the mystery on social with #amazonfindsaway, as well as get tickets to Jurassic World: Fallen Kingdom, which arrives in theaters on June 22.